Home/Restaurant Customer Experience/Dining Experience/How Significantly Does Restaurant Lighting Affect the Meal? Restaurant ambiance is key to setting the mood for your diners’ experience. Ambiance encompasses everything from color palette to furniture, wall decor to music. Restaurant lighting is an important element of your restaurant’s overall design, but does it also influence what and how we eat? Today, we’re putting a spotlight on restaurant lighting and how it affects the dining experience. Of course, restaurant lighting plays a part in setting the mood. Depending on your restaurant concept, the lighting should reflect it. A romantic steakhouse usually has dim mood lighting enhanced with tabletop candles or lanterns. This emits a come and stay a while aura, which can encourage people to have the dessert and another glass of wine. Conversely, a fast-casual establishment is focused on getting people in and out the door, so bright lights encourage fast-paced feasting. Order your food on the assembly line, eat it, and move on. Your ideal lighting can be achieved in a number of ways. Pendant lights, recessed lighting, and even wall lamps or ceiling fans can help bring vibrancy to your space. If you’re looking for a more eco-friendly and natural look, natural lighting from large windows will bring the outside in. We love the lighting strategy that Westville Dumbo uses. They combine natural light, pendant fixtures, and sconces to create a friendly, open environment perfect for Sunday brunch or a laid-back lunch. Another example of bright and beautiful light? 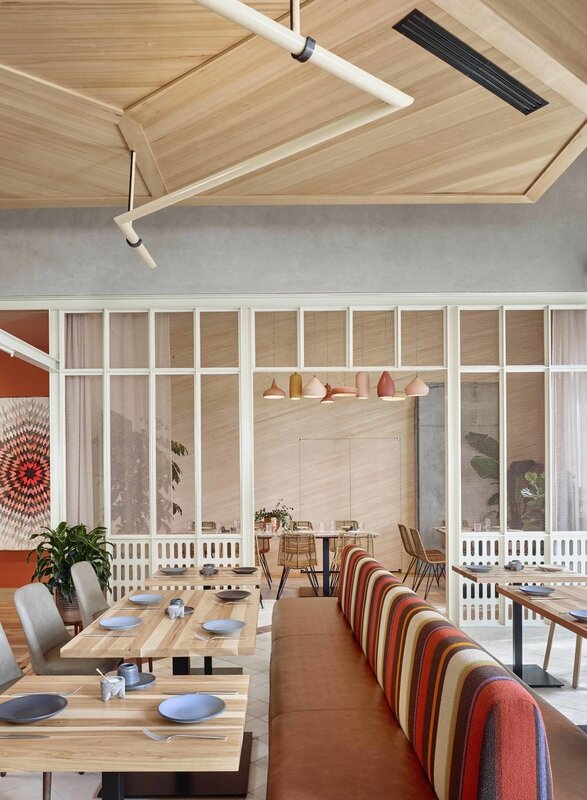 ATX Cocina, a modern Mexican establishment in Austin, screams inviting, light, and breezy. The placement of your lighting also sets a tone. Underlighting, such as candles on a table, are more flattering than overlights, like fixtures above your head. Underlights illuminate your face in a way that makes it look more attractive, whereas overhead lights can cast shadows and make you appear tired. If you’re on a first date, you want to be seen in your best light (pun intended). So, romantic restaurants should take advantage of table lighting and even consider placing lighting closer to the ground. 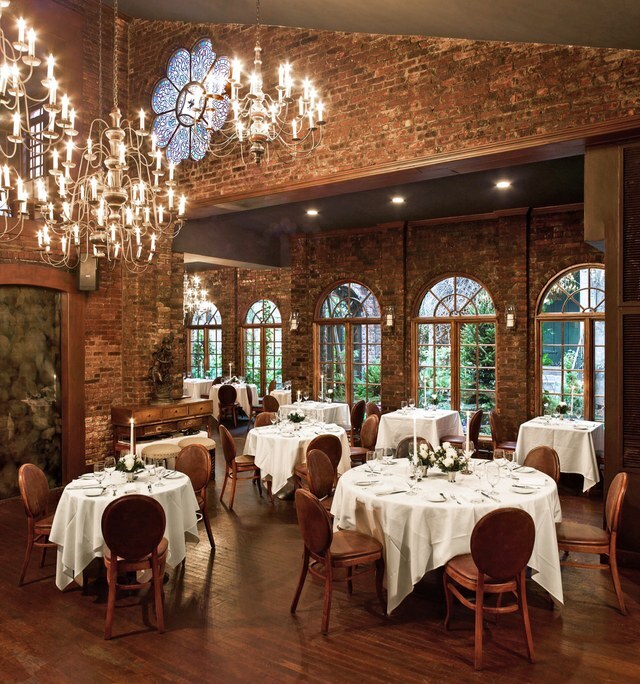 One if by Land, Two if by Sea is a NYC West Village staple that was voted #5 Most Romantic Restaurant in the World by Architectural Digest. They utilize large, rustic chandeliers and tall candlesticks, along with natural light, to create an unforgettable ambiance. It’s wise to consider the lighting of your restaurant heavily when working on the overall design. Lights are very important features that set the stage for the rest of the layout, so choose wisely. Sure, lights can impact the mood, but they also influence what we decide to eat. And there’s research to prove it! This makes sense, right? Think about it – dim lighting evokes a sense of comfort, which in turn can make us a little more lenient about our dining habits for the night. But, if the light is bright, we’re more likely to think more strategically about what we order, in turn resulting in healthier decision making. During the study, half of the focus group was placed in a dim room while the other half was in a bright room. When ordering, the dimly lit crowd ordered 39% more calories! The state of your mind at the time of consumption may be the influencing factor, but the lighting can help determine your mood, and in turn, your mental state when ordering. If you asked me before researching this topic, I would have guessed that dimmer lit rooms would influence people to eat more. As mentioned, a dim-lit room is more comfortable, which in turn would inspire me to stay longer and order more. However, an interesting study at Hardee’s fast-food revealed a truth that researchers weren’t expecting. The fast-food chain took one half of the restaurant and transformed into a fine dining atmosphere, complete with low lighting and soft music. Researchers thought that diners there would eat more and stay longer than those in the typical fast-food dining room. However, it was revealed that people did in fact linger, but they didn’t eat more. It’s clear that they enjoyed the atmosphere, but that the ambiance didn’t impact the amount of food consumption. To top it off, the fine dining room patrons found the food to be more enjoyable than those who ate at the untouched fast-food section. This begs the question – should fast food restaurants test out a fine dining atmosphere? Restaurants are destinations for food and lifestyle bloggers and influencers, as well as other social media users who just love taking photos of pretty things. With the heavy influence of social media on dining decisions, you always want your restaurant represented positively. 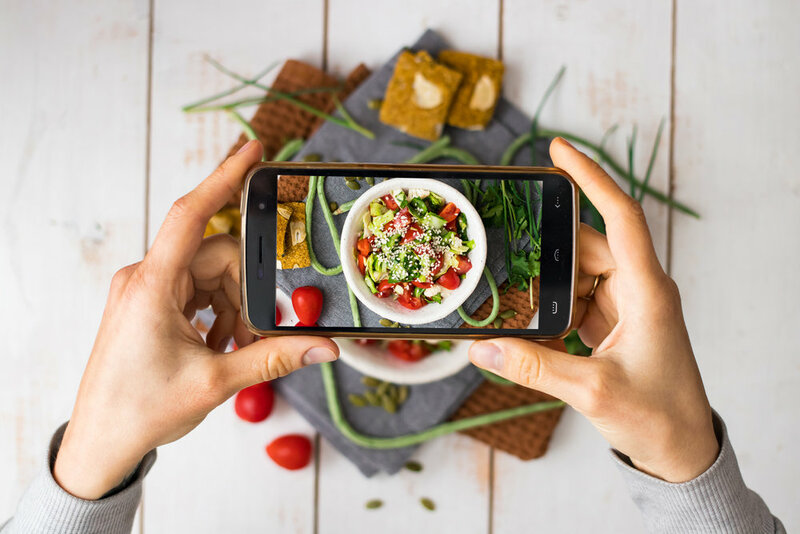 People will be checking out not only your restaurant’s social media channels, but those of the food influencers who post irresistible pictures of food, drinks, and restaurant design. You should consider how the lighting in your establishment affects their photoshoots. A glowing review can do great things for your business’ reputation, but beautiful photos can as well. Test out the lighting in your place to see how snapshots look when taken with an iPhone. The popularity of social channels, Instagram in particular, has changed the way people think about dining out. When dreaming up restaurant designs, you have to consider how your food and drinks will look on smartphone screens. Lighting can make or break the Instagram-worthiness of photos, so take that into account when picking out lamps and fixtures. 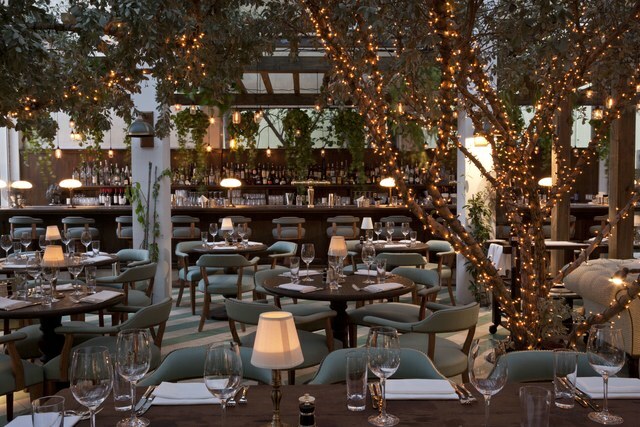 Restaurant lighting is an important element of the overall ambiance. It sets the tone, influences dining decisions, and makes or breaks a social media photo shoot. When considering your restaurant’s overall concept, design, and feel, lighting should be one of your points of focus. Although the food and drinks are your restaurant’s focal points, the lights shining down (or up) on them are just as relevant.